Meanwhile, he censured universities, the media and internet firms for not doing enough to aid the battle against radicalisation, essentially calling for increased surveillance and censorship in the same breath as extolling the importance of freedom of speech within the British value system. In the speech, Cameron also severely played down the consequences of the UK’s questionable history in the Middle East and Africa, over-simplifying the situation in the extreme. He repudiated any suggestion of links between the country’s past actions and current terrorism, presenting as evidence the fact that 9/11 happened before the Iraq war and that the UK helped muslims in Somalia and Kosovo. He also dismissed links between poverty and terrorism with a sweeping statement that some terrorists come from wealthy, educated backgrounds. So by reducing the problem to one of ideological belief, he simplified the complex issues of disenfranchisement and injustice down to one of communicating the ‘right’ messages to people. And one of his principal methods for this is through integration, emphasised by the repetition of his election victory assertion that his party would lead “a ‘one nation’ government, bringing our country together” in “a stronger, more cohesive society”. 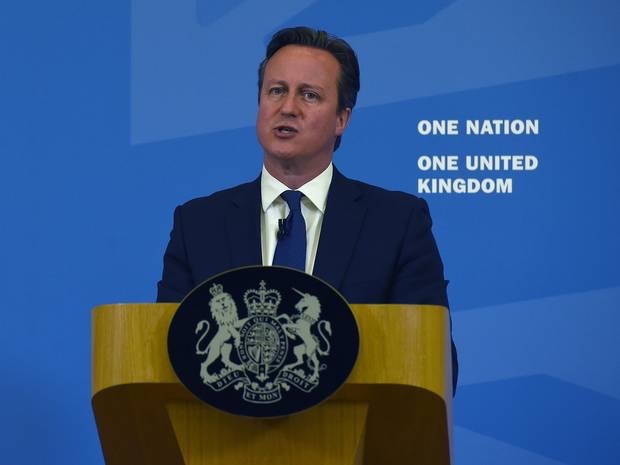 Cameron correctly identified the problem with this concept of ‘one nation’ as that of individual identities but mistakenly focussed his attention solely on racial and faith-based differences. His speech, while being careful not to criticise faith-based schools, did raise questions surrounding the ghettoisation of certain groups within the country. 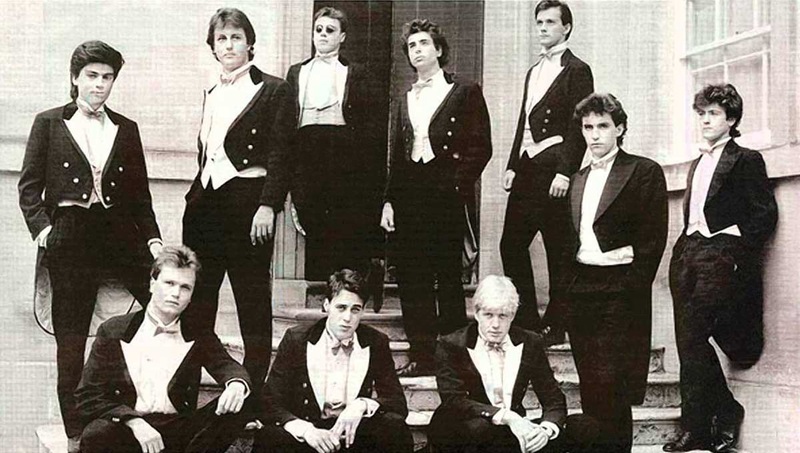 While Cameron was no doubt picturing in his mind inner city schools in cities like Birmingham or Bradford, some have pointed to the Prime Minister’s own educational background as an example of someone far removed from the life of the everyday British citizen. As much as people like to deny it, class still plays a major part in people’s identity in the UK. Many citizens feel that they have little in common with the political and economic elites in the country and so search elsewhere for a community to belong to. And this brings us to the thorny problem which may render Cameron’s plan impotent; that of the concept that there is indeed a shared national identity. In his 1983 book Imagined Communities, Benedict Anderson first conceptualised the nation state as a social construct, held together by shared geography, history, language and customs, but ultimately consisting of imagined relationships. While national sports teams and institutions, such as the Royal Family, create a sense of shared culture, in reality David Cameron has little in common with a third generation Jamaican London cabby, a transgender teenager in Manchester, an emergency room nurse in Cardiff or a sheep farmer in the Scottish Highlands. Such diverse characters have been bound together by the Enlightenment idea of the nation state as a balance between citizen’s rights and responsibilities; the government would protect and assist their citizens in return for loyalty and service. In the UK today, as the welfare system is picked apart, the few remaining national institutions such as the NHS and the BBC are slowly eroded and it becomes increasingly apparent that those in power have so little trust of their citizenship that universal surveillance is endorsed, the rights of citizenship can seem diminished. As a result, in calling for the people’s cooperation, Cameron needs to reinforce the idea of nationhood and promise new benefits, that of protection from the perceived dangers of terrorism. While there are many who still staunchly embrace and support the idea of nation, albeit often those on the far-right and those in the north who recognise a different national identity to the one which Cameron is appealing to, perhaps the call to arms in support of your country has lost some of the power which it held historically. Cameron cited the struggle against Hitler in his speech this week in his jingoistic call to action against a common foe. Just as the enemies in the current battle against extremism are no longer nation states, neither can the solution be sought in national pride. Anderson traced the construct of nation states to the birth of printing and for many years it was newspapers, and then television, which were the ‘social glue’ holding countries like the UK together. However, since the introduction of satellite television and then the Internet, the gatekeepers have been removed and people now have access to an infinite, global range of identity choices and selection of communities of which to belong. These communities need not be extremist or radical, but simply other people, from anywhere in the world, with similar views on movies, breastfeeding, education, ecology, cars or cookery. For many people who are part of these communities, they have much more in common with their fellow members than with those who happen to live in close geographical proximity to them. And so it is these ‘virtual communities’ and their contribution to people’s individual identities which present a challenge to the dominance of national identity upon which Cameron seems to be relying. In today’s global world of contracted time and distance, of access to limitless information about other lifestyles, of fluid, adaptive identities, Cameron’s appeal to national pride seems oddly antiquated. His understanding of the challenges of identity seems limited to that of the diaspora in British culture without recognising the other countless differences amongst the citizenship and without examining the current realities of many living in the UK. His call to arms harks back to the army recruitment of the World Wars, when the enemy comprised of a nation state wearing matching uniforms, marching behind an identifiable leader. Just as today’s enemy is not such a homogenous group, neither are the citizens on whose help the Prime Minister is calling.